Thinking about getting together with family for the holidays makes me all kinds of giddy. Both Tyson and I come from families who love to party! Bring on the food, games, and laughs. 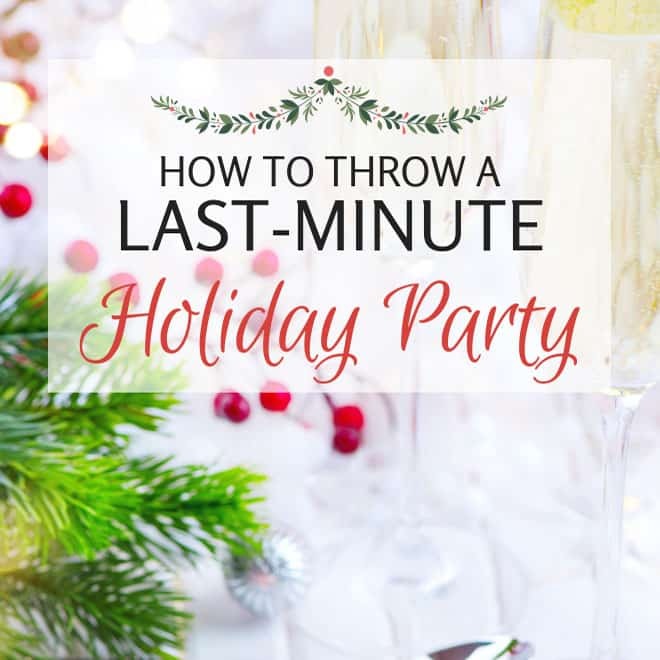 Let’s be honest though, hosting a holiday party can be overwhelming and a little scary. Thankfully I have all the answers you need right here in one post! No need to stress over time-consuming food and activities when you can put a great party together quickly and easily. Here’s how it’s done! Obviously the best part of a party is all the food. Obviously. Let’s start with a super easy dessert that is SO easy it might make you shed a tear or two. You won’t believe how easy! As easy as opening up a box. 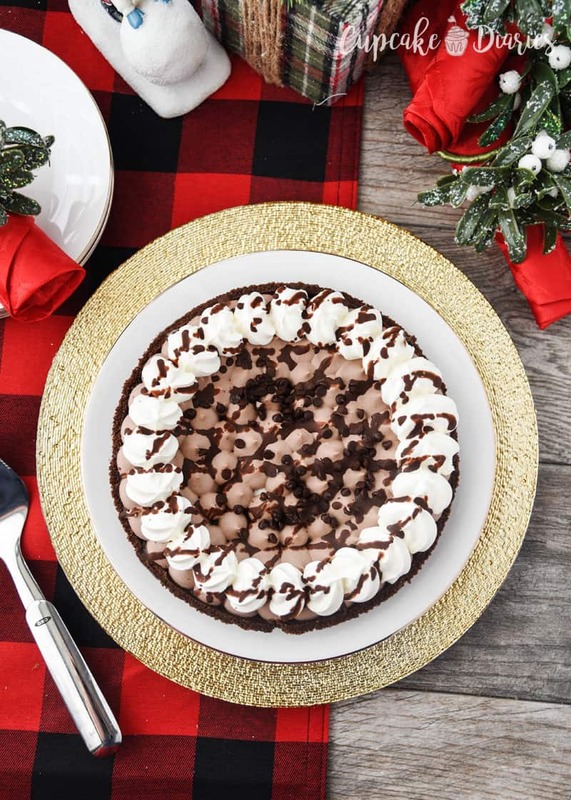 Allow me to introduce you to Edwards Desserts, specifically Edwards Hershey’s Chocolate Crème Pie: A sweet victory for chocolate lovers. 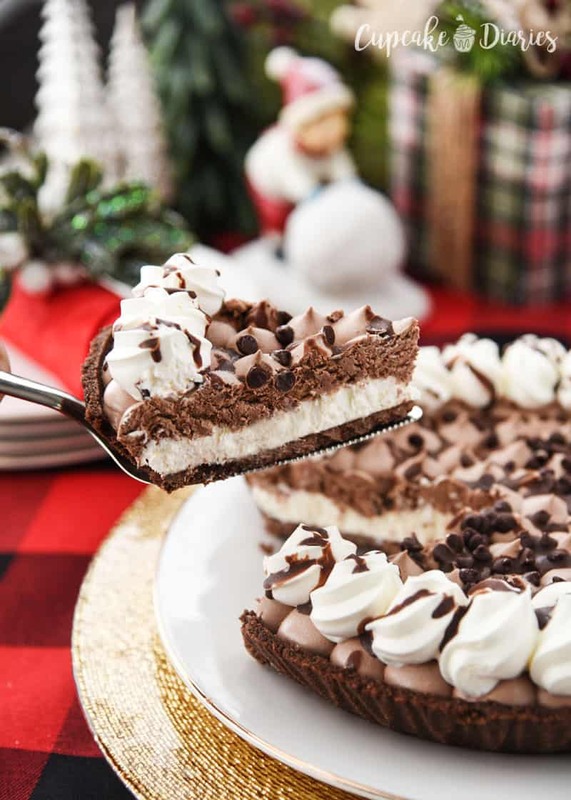 Layers of chocolate and vanilla crème topped with chocolate pieces, chocolate drizzle and whipped crème rosettes on a fresh-from-the-oven chocolate cookie crumb crust. Isn’t it lovely? This pie is just a stunner and you don’t have to do a darn thing to prepare it! It stores in the freezer, and then to serve you can either keep it in the tin, or simply cut the tin and slip the pie out and place on a plate. And that is seriously it. 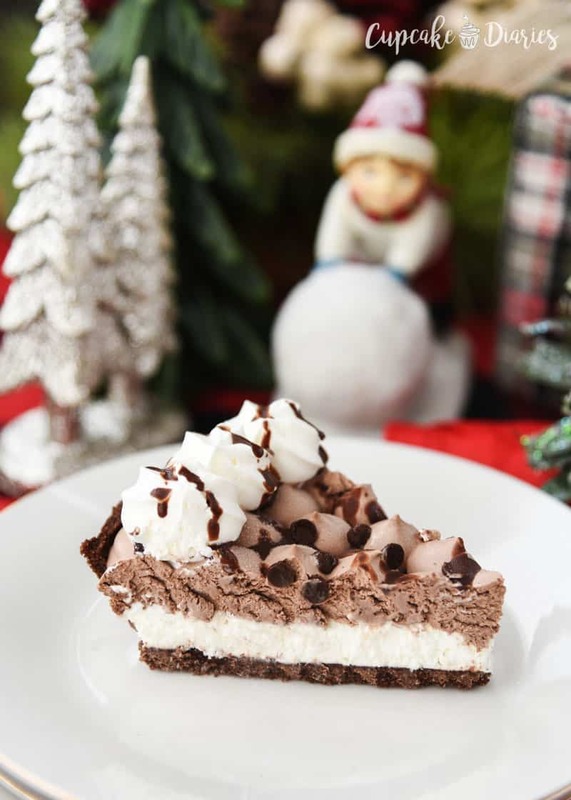 I love Edwards creme pies and this chocolate one is my very favorite! Those layers are so tasty, and I love the different textures together. 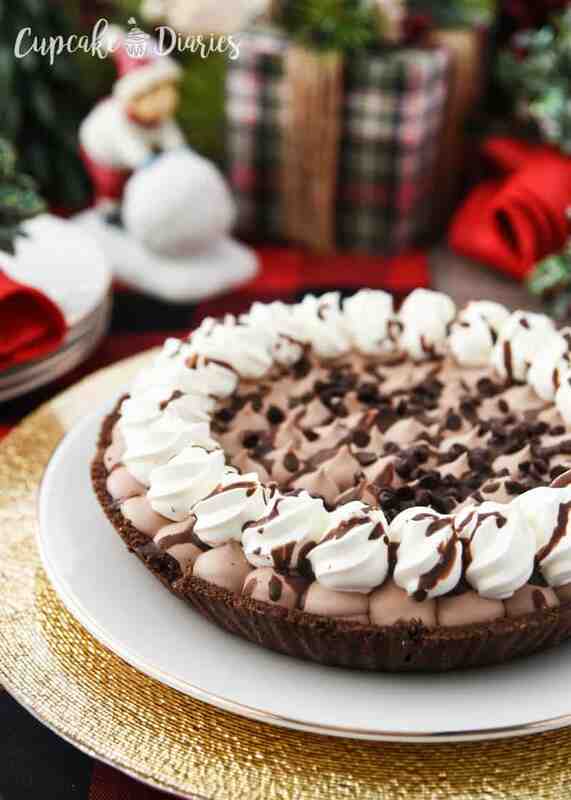 Edwards crème pies are made of creamy layers and a cookie-crumb-crust. 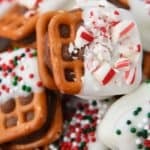 They’re so decadent and yummy! Other flavors include Pumpkin Crème, Turtle, and Key Lime. Isn’t that such a pretty pie? And such a pretty pie that you don’t have to make?! You would never think it came out of a box. Let’s cut into this, shall we? Just look at those layers! 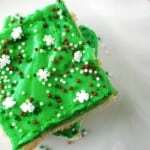 I love the crunch of the cookie crust with the smoothness of the layers. Your party won’t need any other dessert. 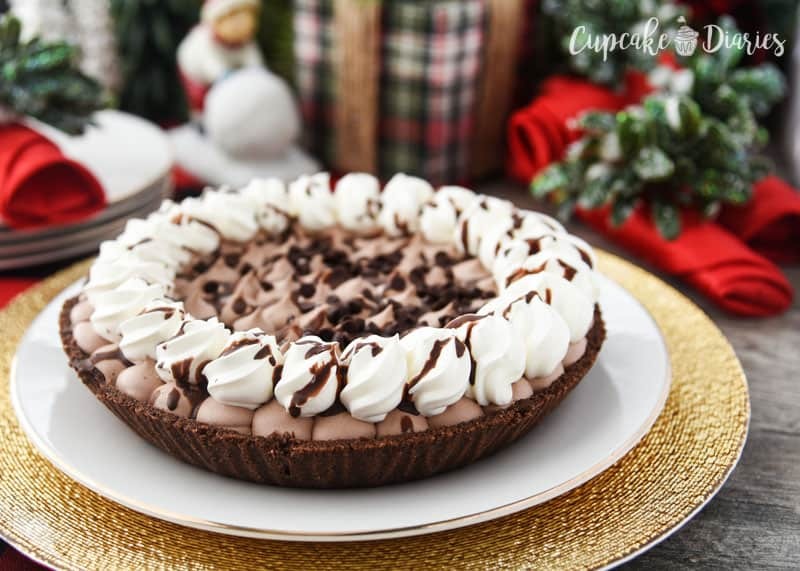 Dessert is so easy with Edwards crème pies! Contest time! 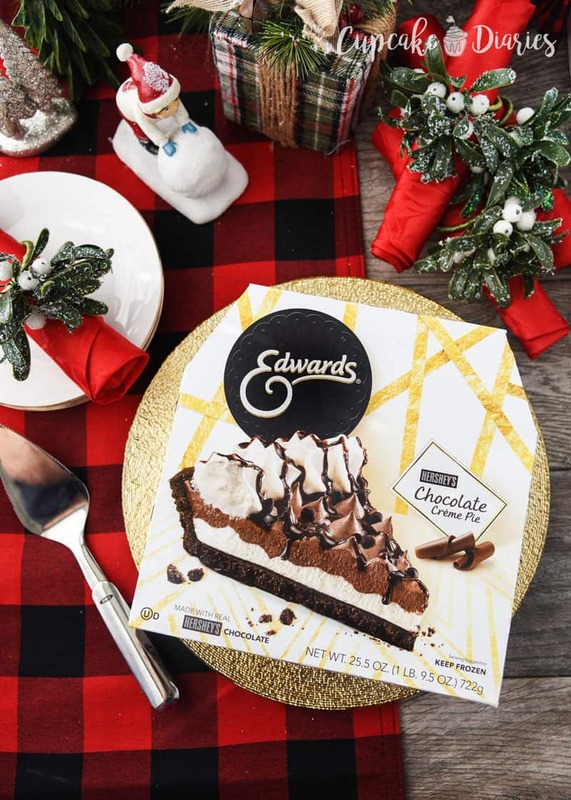 You are invited to share your love of Edwards Desserts on the brand’s Facebook page for a chance to win a limited-edition, dessert-inspired prize pack. Edwards will give one lucky entrant by throwing a holiday celebration for their town where you will be the guest of honor, and be treated with your guests of choice to an exclusive dining experience. Enter here! 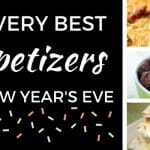 Isn’t it great that there are so many easy appetizer recipes out there? 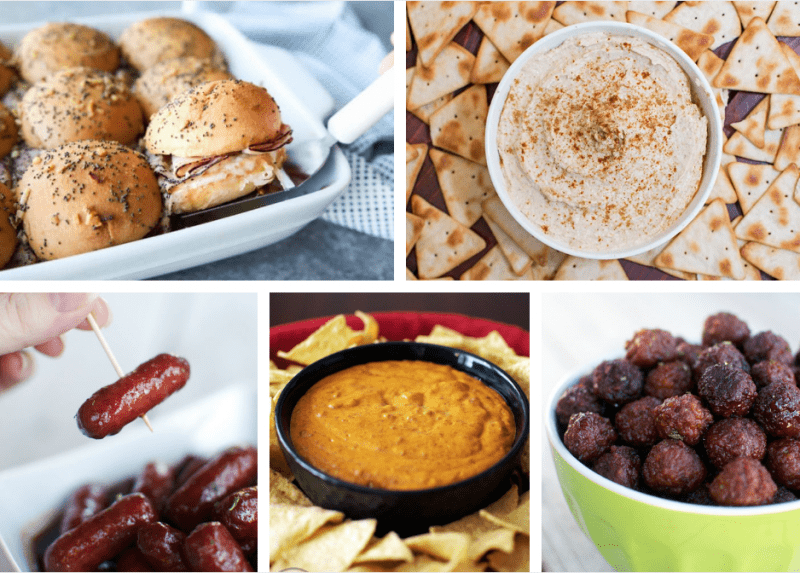 We love serving appetizers at holiday parties instead of making a big meal. Ham and Cheese Sliders are as easy as layering the sliders together, brushing with a fantastic sauce, and throwing in the oven. 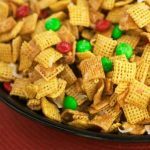 My family is all about crock pot appetizers for the holidays! One of our all-time favorites is Cocktail Smokies and we’ve been eating them for years. The Smokies are usually made by my oldest brother. Then we have Tyson’s Sweet and Sour Meatballs recipe that my family fell in love with almost 10 years ago when we got engaged. They’ve been at every holiday party since! That’s also a crock pot recipe. Want a good queso recipe for your party? My recipe for Copycat Chili’s Skillet Queso is pretty darn amazing. I made it on a TV segment a few years ago and the staff was in heaven. Another great appetizer idea is fresh veggies and Homemade Hummus. 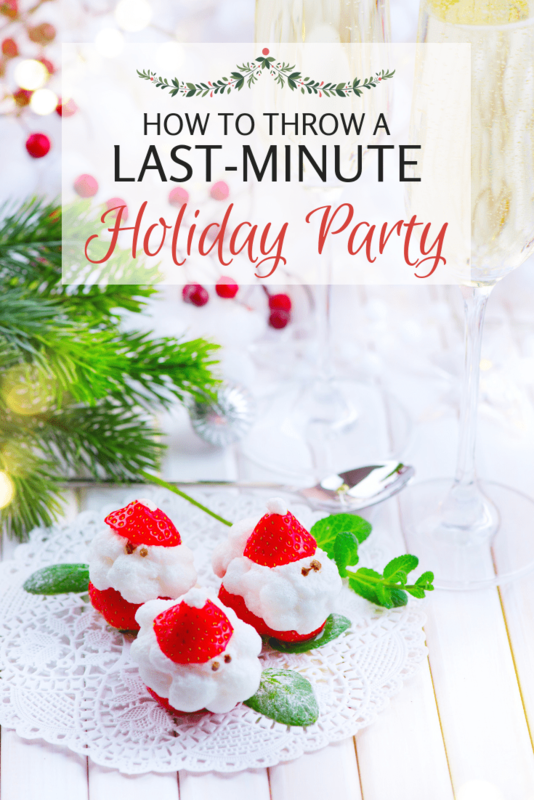 Prepare it ahead of time to make party prep even easier! After dinner, it’s time for games! The reason why I put this list of games together is because they’re all super easy to prep. 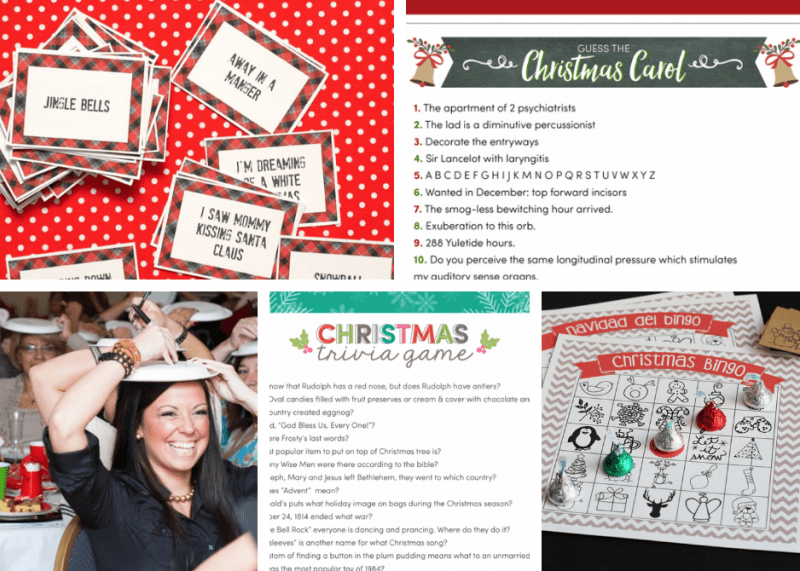 Three of them (Christmas Trivia Game | Guess the Christmas Carol | Christmas Trivia Game) you just have to print, one of them you need some candy and the print (Christmas Bingo), and the last one you don’t even need to print (Paper Plate Drawing Game). So easy! We played that paper plate game a few years ago and it is absolutely hilarious. It isn’t a holiday party without the gift exchange! These ideas below are all easy to prepare for so your party planning will continue to go smoothly and easily. I love when we play a game to exchange our Christmas gifts! 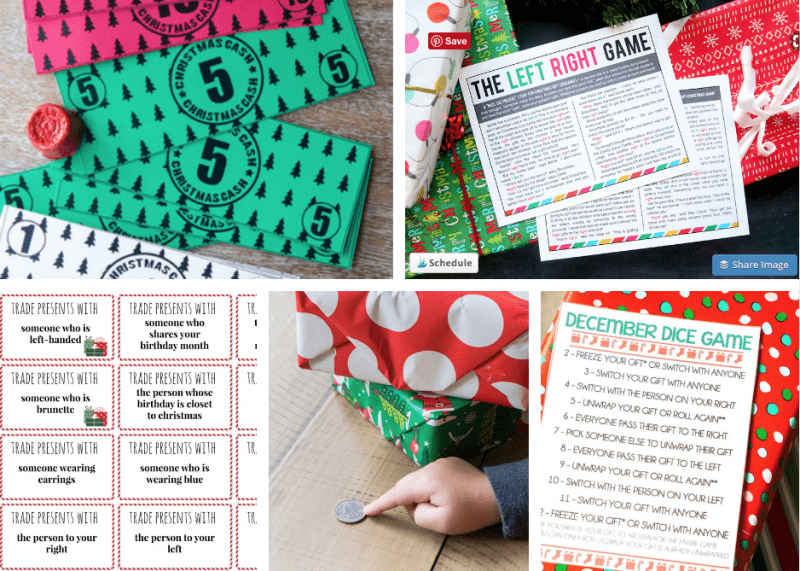 All of these games will work with white elephant gifts or with universal gifts that someone actually wants. haha And they all look so fun! And just like that, you have yourself a fun and festive Christmas party! I’m ready for the holidays after writing this list. Don’t forget to enter the Edwards Desserts contest!